If you’re not aware of luxury Chocolate Brand La Maison Du Chocolat, then you are missing out on an amazing taste sensation. Started in 1977 by the famous chef Robert Linxe (known as the Sorcerer of Ganache), the brand has since become world renowned for their fine and delicious wares. Gilles Marchal took over the reins as Creative Director in 2007 and last week I went to London to meet him and his team and be taught more about the wonderful world of chocolate. I walked into La Maison Du Chocolat’s Piccadilly store thinking I was a chocolate lover. Of course I didn’t profess to be an expert in the subject. But I understood what I liked and what I didn’t and I knew that there were basically three main kinds of chocolate; plain chocolate, milk chocolate and white chocolate. I was also under the illusion that those bizarrely bitter bars that everyone tells you to buy even though nobody actually seems to like (but they are 70% cocoa!) were ‘fine’ chocolate. But I couldn’t have been more wrong. Forestero – the vast majority of mass produced chocolate is made from this bean (estimates place it at around 75-80%). It’s very hardy for a cocoa tree and resistant to disease but apparently does not bear the best flavours. Criollo – the best of the beans, or so they say. The finest flavour, perhaps the original variety of cocoa beans, but very delicate and prone to disease. Trinatario – a happy mix of the above two varieties. I’ve since read different opinions on the worthiness of this bean, but my basic understanding is it’s bears a much finer flavour more akin to the Criollo. But with the hardiness of the Forestero. So unbeknown to myself I’d probably only ever eaten one variety of chocolate and cocoa bean! Well that had to be rectified and fast! But first I learnt all about the processes that the humble cocoa pod has to go through to become a yummy chocolate bar. It’s actually a wonder that anyone can afford ‘any’ type of chocolate. There are so many different and time consuming elements in the production process, that it’s actually slightly concerning that it is so very affordable. Scary thoughts really. But cheap chocolate bars may not be produced at the deprivation of the growers. In actual fact it could be at your expense! During the production of chocolate there is a process that separates Cocoa Butter from the rest of the Cocoa. If you like your cosmetics I’m sure you’re aware of Cocoa Butter and the benefits it can have for our skin. Most of the Cocoa Butter used in cosmetics is actually bought from Chocolate producers (it’s very lucrative) who then replace the butter lost with other fats, some of them less than desirable. Gilles is very conscious of this and along with retaining more Cocoa Butter in his products, he only adds in GM free Soya Lecithin to his chocolates. This means searching the world over to purchase enough at the right standard both ethically and taste wise. Up to 98% of other producers use products such as Palm Oil which has far reaching questions over it’s safety and moral standards. But of course taste has to play a part in our foods. So feeling very well informed I broke into my first taste of La Maison Du Chocolate. I attended the tasting with about 12 other writers and as we all broke into the first bar the room swelled with an unbelievably fragrant Chocolate scent. We weren’t told what we were trying, instead we smelled the bars (trying not to slip into a happy daydream) and then ate a piece. It was amazing! If you can liken one flavour to another, then this bar was the equivalent of a fine Italian Coffee, not bitter but rich! I have to admit that one of my first thoughts was ‘this would make a fantastic Mascarpone Cheesecake!’. It turned out to be a 100% bar (so much for 70%), I’m sure that it wouldn’t be to everyone’s taste, but in comparison to the ‘fine’ bars on sale in your local supermarket this was much more enjoyable and far less bitter. Next we moved on to a 74% bar that tasted sweet in comparison. It also had a much more fruity and almost flowery taste. A great deal more complex than a standard chocolate bar and I could happily eat this all day. This coming from a person who previously thought she wasn’t a huge plain chocolate fan. My third bar was a 37% Milk Chocolate, I might have had a momentary lapse in consciousness here as I slipped away on an incredibly smooth caramel ride. Amazingly smooth in fact but without the heavy sweetness of a lot of more readily available bars. I often find the roof of my mouth feels coated and my teeth sugary after standard chocolate. But with this my mouth and teeth felt clean. 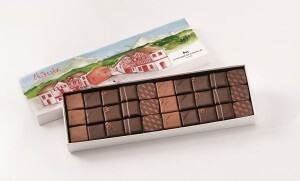 Finally I tested one of the new chocolates from the Summer Collection called Espeletako Piperra. Made with Piment d’Espelette, pepper it’s a dark ganache with red pepper and red piment d’Espelette. I’ve eaten chocolate with chilli before, but this little number was heaven in a mouthful. Lightly spicy but with a dry heat and plenty of sweetness, it’s a very playful pepper. If you only ever try one of this wonderful brands chocolates, make sure you try this one! I had an absolutely wonderful time, the staff were courteous and helpful, the chocolate was heavenly, even the location was beautiful. 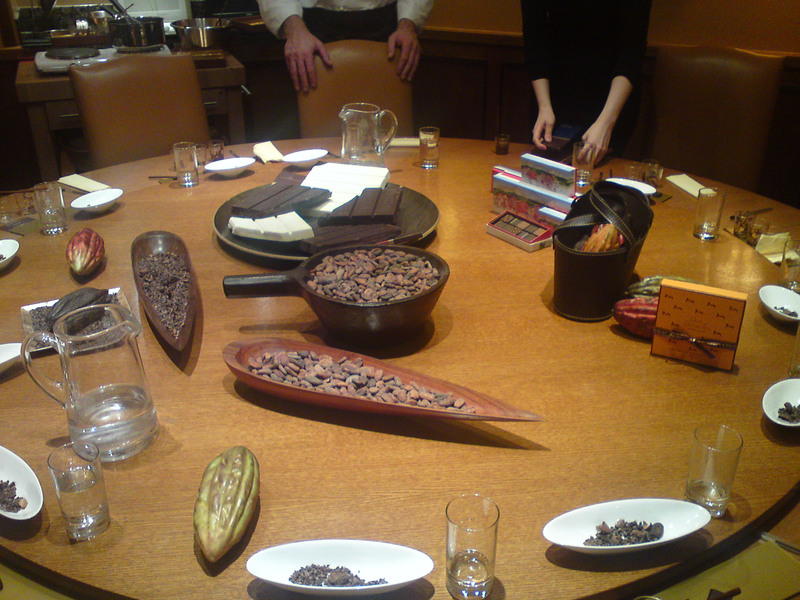 Plus the chance to learn about the history and culture of Chocolate was invaluable in itself. It’s a wonder that something we so commonly consume, we frequently know so little about. I was astounded by all the moral questions involved and the choices that companies can face; taste, profit, ethics, but do you know which side of the line your favourite brand lies? I was equally blown away that all these years I’ve been unwittingly avoiding the best tasting chocolate through lack of exposure to bean variety. Plus the amazing, almost scientific nature of flavour blending to achieve the best results. This was pointed out to me when Gilles made us a beautiful single origin Ganache. First we ate it on it’s own, then we picked ourselves off the floor and tried it first with caramelised Pecans and then with Rum Soaked Raisins, the taste really can vary depending on little additions such as these. I had to eat all my Caramelised Pecans and Ganache, I was in foody heaven at this point. 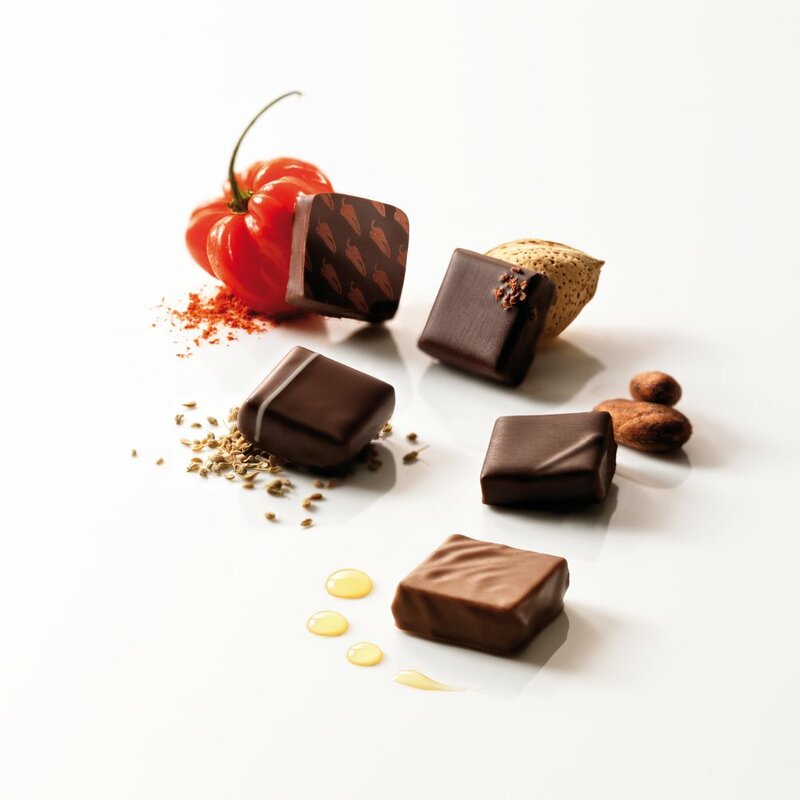 If you’re unsure about flavour combinations, then fear not, the staff at La Maison Du Chocolate can advise on everything from present buying to the perfect finish to a dinner party. 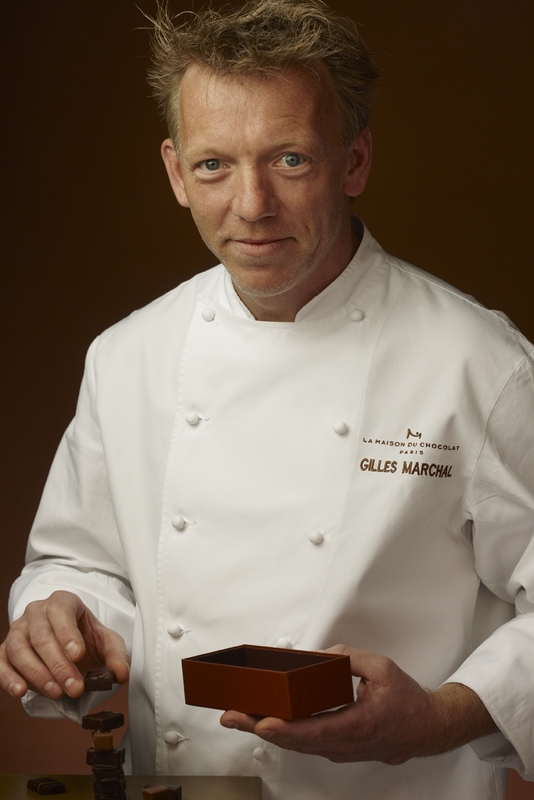 Gilles Marchal and his team have a real passion for Chocolate which is utterly infectious. Thankfully La Maison Du Chocolat aren’t restrictive with their knowledge either. They offer tasting sessions to the public at their Piccadilly store. So for a birthday, anniversary, hen do, you name it, it’s the perfect event! I’ve already been recommending it to friends and family alike. Priced at just £50 for 2 hours it’s an experience not to be missed for up to 12 people. Keep your eyes peeled as well, I was lucky enough to take home a box of the Summer collection, I’ll share my thoughts on that in a post soon. La Maison Du Chocolate has 21 boutiques worldwide including Paris, Cannes, New York, Tokyo and Hong Kong and three in central London (Piccadilly, Harrods and Selfridges). La Maison Du Chocolat Boutique, 46 Piccadilly, W1J 0DS. Visit them online at www.lamaisonduchocolat.co.uk. This entry was posted in Out and about, Reviews and tagged chocolate, criollo, forestero, ganache, gilles marchal, la maison du chocolat, london, piccadilly, review, robert linxe, session, tasting, tasting session, trinitario. Bookmark the permalink. I am going to have to try some La Maison Du Chocolate Chocolate, it sounds fab. So jealous too at the tasting, maybe when I next get to London I could go. I know exactly what you mean, it’s not a nice thought when you begin to think of undesirable additives.